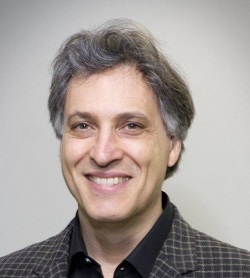 Brian Uzzi is a globally recognized scientist, teacher, consultant and speaker on leadership, social networks, and big data. He is the Richard L. Thomas Professor of Leadership and Organizational Change at the Kellogg School of Management, and professor of sociology and professor of engineering at the McCormick School of Engineering. At Northwestern, he is also codirector of NICO, the Northwestern Institute on Complex Systems and the director of the Kellogg Architectures of Collaboration Initiative (KACI). Besides his positions at Kellogg, he has been on the faculties of Harvard University, INSEAD, University of Chicago, and the University of California of Berkeley where he was the Warren E. and Carol Spieker Professor of Leadership. He has been awarded 13 teaching prizes and 12 scientific research prizes worldwide. Romero, Daniel, Brian Uzzi and Jon Kleinberg. 2016. Social Networks Under Stress. Proceedings of the 25th International World Wide Web Conference. Romero, Daniel, Roderick I. Swaab, Adam D. Galinsky and Brian Uzzi. 2015. Mimicry is Presidential: Linguistic Style Matching in Presidential Debates and Improved Polling Numbers. Personality and Social Psychology Bulletin. 41(10): 1311-1319. Soderstrom, Sara, Brian Uzzi, Derek D. Rucker, James Fowler and Daniel Diermeier. Forthcoming. Timing Matters: Social Influence Effects on the Adoption of Innovations over their Life Cycle. Sociological Science. Saavedra, Serguei, Rudolf Rohr, Michael R.R. Schnabel, Brian Uzzi and Jordi Bascompte. 2014. Stock fluctuations are correlated and amplified across networks of interlocking directorates. EPJ Data Science. Uzzi, Brian, Satyam Mukerjee, Michael Stringer and Ben Jones. 2013. Atypical Combinations and Scientific Impact. Science. 342: 468-472.